Our beautiful Holiday Park in Bala is open throughout most of the year – taking a long season from the 1st of March to the 14th of January, and with that, we truly do see Snowdonia in all seasons. The region in itself is an absolutely stunning one, boasting so much variety in each and every season. Snowdonia is one of the only regions of which we can think of where the area looks one way in one season, and like an entirely different area in the next. It’s for that reason, we think, that a lot of our holiday home owners tend to enjoy coming to visit equally in summer and winter. The fact we’re a David Bellamy Gold Conservation Award Winner as well means that the local wildlife are well and truly comfortable here, giving our visitors so many amazing things to look at on a year round basis. One of our very favourite things to watch are the hedgehogs – proud residents of Pale Wood themselves – we’ve been honoured to have a number of different hedgehog families around the park and our acres of private woodland for some years now. Those familiar with our social media might have noticed more than a few videos we’ve taken of them getting on with their day-to-day (when they’re not looking, of course! ), but at this time of year we’re being extra careful to take a little bit more care around the park as they are in the first stages of their hibernation. Do you have hedgehogs in your garden? Or have you noticed them around your area? If you’re considering ways of which you can help these truly amazing little creatures, we have a few tips. 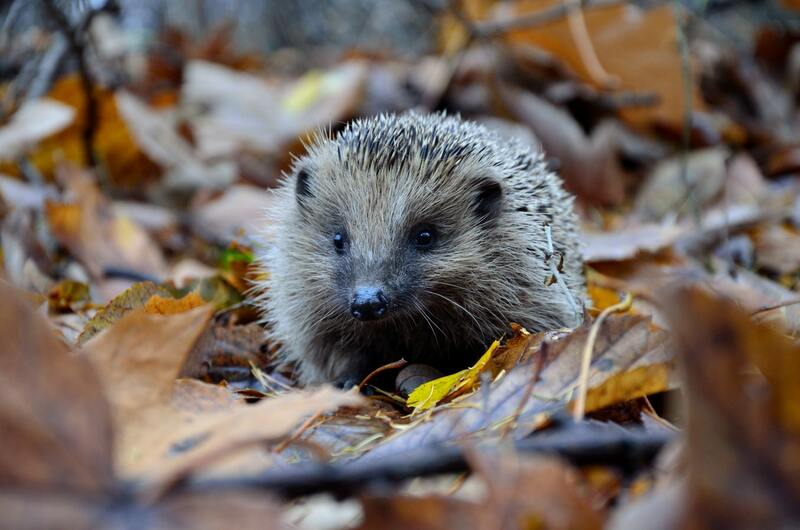 In October, male hedgehogs are typically asleep (or very close to it!) but females can sometimes be seen roaming around getting themselves ready up until late November. Males tend to sleep sooner than females, as they have already built up the bulk they need in order to survive their hibernation. Females tend to be a little slower at getting ready, as they’ve been looking after their young all year around (and we’re sure all of the parents among us can attest, the children do tend to come first in all circumstances!) and are therefore less rotund than their male counterparts. All-in-all, if you see hog activity in your garden or otherwise, don’t think the worst. Don’t worry, and under all circumstances, don’t move the hedgehog indoors. They’re completely fine – and they need time to themselves in order to prepare for the winter. Really, don’t worry – more often than not, you’re just looking at a female take the final steps she needs to undertake in order to get ready for a long sleep through the winter. Hedgehogs are amazing creatures with the act that they have to roam around their area in order to be truly happy. Your garden could be a hedgehog paradise, but it isn’t in their nature to stay in one spot for very long – even when they hibernate. They sometimes wake up and waddle off in search of an extra slug or snail before settling down again. Hedgehogs (like humans, we think!) like a little bit of variety in their day to day lives, and they do tend to wander short distances in order to simply see new things, taste different bugs, and just stretch their legs. Of course, motorists should be mindful of sleepy hedgehogs crossing the road, and homeowners can also help by cutting a hole in your garden fence into the next garden, allowing hedgehogs to come and go as they please. Word to the wise: although you might not like the thought of a hedgehog leaving, you can be assured that they’ll come back! One of the saddest things we’ve seen is when you try to help something, and end up causing more harm than good. This can happen with hedgehogs. If you’re planning on helping a hedgehog put on the pounds they need for a successful hibernation, it helps to feed them things which won’t make them sick, as any sort of stomach upset can put a hedgehog’s aims of bulking up back quite significantly. 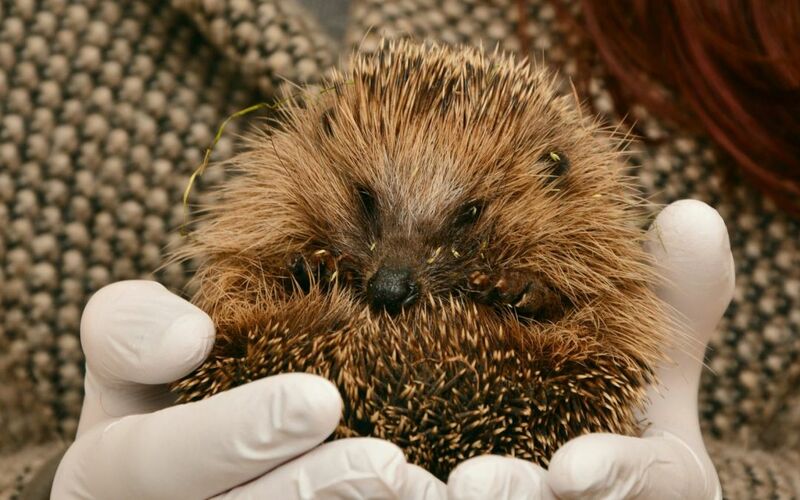 In order to help, and not hinder a hedgehog which is piling on the pounds, we recommend that you feed them either specially created hedgehog food (the RSPB do an amazing one which wasn’t even half as smelly as we expected!) or use a meat-based dog food (never cat food) which is the type which is not in gravy. Gravy tends to be too rich for hedgehogs, and can often give them sore stomachs. Mealworms are something that hedgehogs tend to love – even the freeze dried type – but please keep in mind that while they adore them, mealworms are not nutritious. Giving a hedgehog a diet of mealworms is like giving a human being a diet of chewing gum. It might taste good, but it is not something which is substantial. Likewise, Unsalted peanuts are perfectly fine for hedgehogs, though should be given as a complimentary food and never as a sole source of food. Provide a shallow bowl of water at all times for your hedgehog visitor, and never, ever decide to leave them milk. Hedgehogs are allergic to dairy products – and feeding a hedgehog milk is one of the very best ways to do it some lasting damage. One of the most important things you can do when it comes to making an environment which is safe for a hedgehog is not tidy your garden. 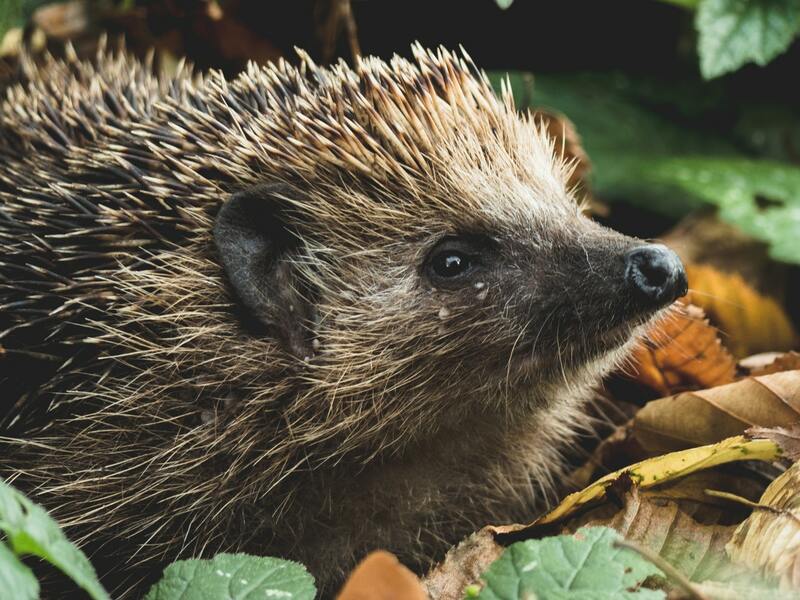 Hedgehogs like mess – and an untidy pile of leaves, for a hedgehog, is one of the best sources of cover that can be found as well as the perfect bed for a long winter’s sleep. If you have small children, do remember to tell them why to not kick the fallen leaves! Expressing the joys of autumn by crushing leaves underfoot is indeed quite fun, but we imagine that it absolutely isn’t for any hedgehog. Can you imagine having the roof of your house ripped off by a loud giant while you’re in bed? If the shock didn’t kill you immediately, you’d be out a house. We hope that the above tips have been useful. Should you have further questions, visit hedgehogstreet.org in order to find out ways you can help visitors to your garden, or the species as a whole.